Contact centers are a critical point for businesses; it’s where businesses and customer have the most direct interaction, and where your employees have the opportunity to really sell not only your products but your brand. You don’t want to let the performance of such an asset fall by the wayside. 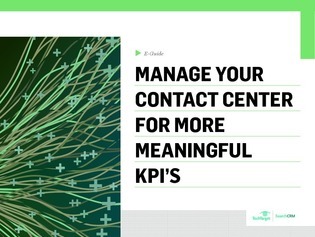 In this expert e-guide, you’ll find some helpful hints as to how you can identify the proper metrics needed to produce meaningful contact center KPI’s. In addition, read 7 dos and don’ts of call center management to help you nourish your agent’s best CRM practices.